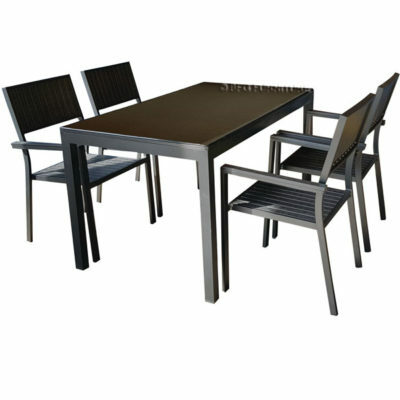 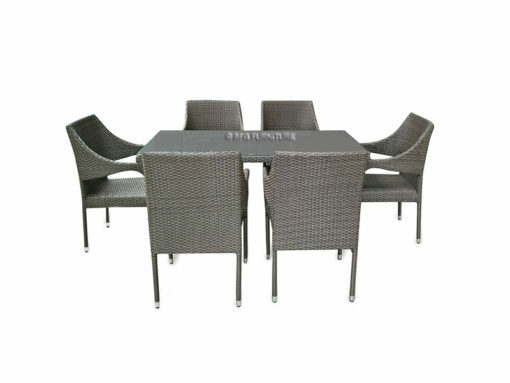 Add a touch of sleek style to your veranda or poolside ensemble with this Mitella 7 Piece Dining Set. 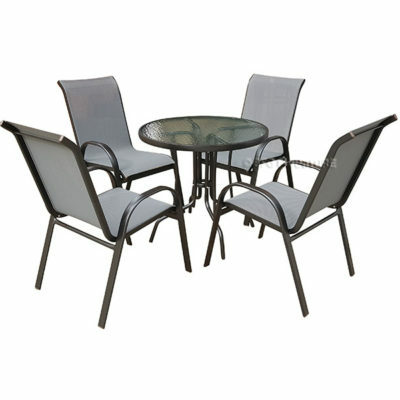 Complete with a rectangular table and seating for 6, this set offers comfortable seating in the great outdoors. 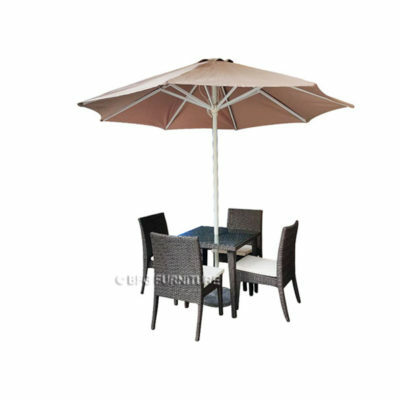 Sure to complement any patio decor and lets you host family gatherings and outdoor BBQ under the stars. 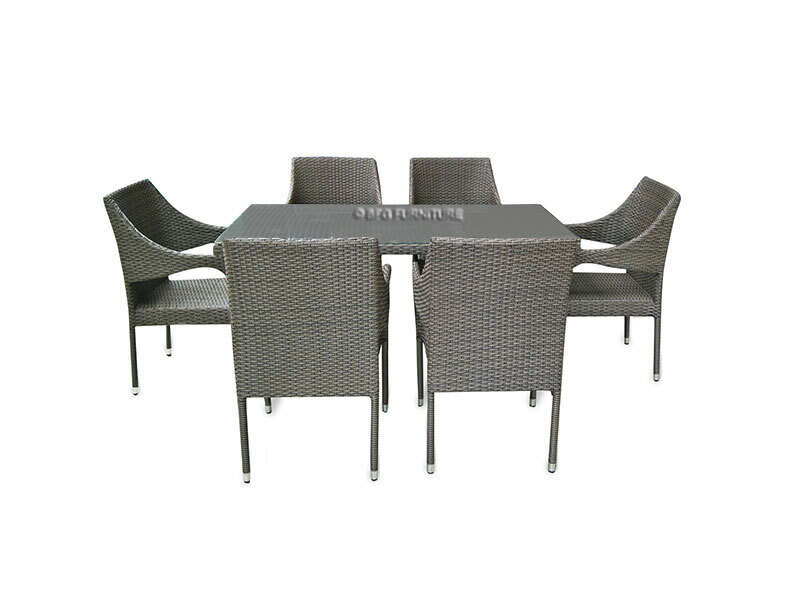 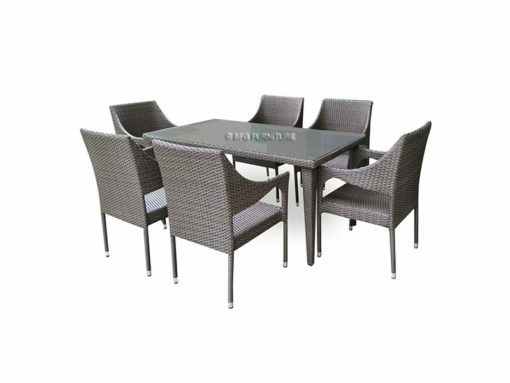 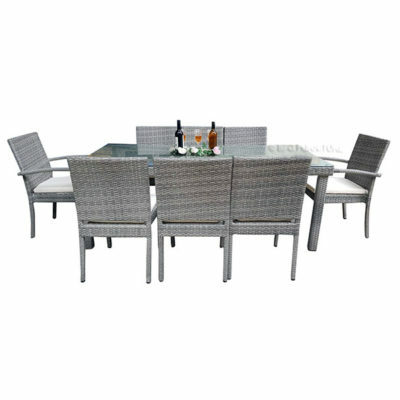 Made from durable handwoven PE rattan wicker for an elegant finish.